A delicious recipe for one of the most basic types of drop cookies, the Oatmeal Raisin Cookie, along with tips for getting them to turn out perfectly every time. 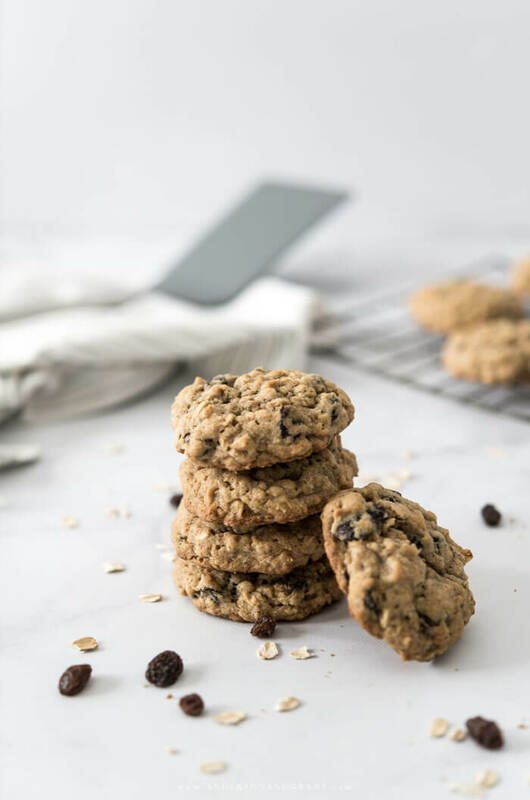 A plate of freshly baked cookies are one of those things that should be on every kitchen counter.....along with the smell of the homemade treat lingering in the air. Maybe not a totally realistic idea in this day and age, but it's a nice thought, isn't it? There is something very homey and comforting about the thought and I think we could all use a little more of those feelings in our home. Cookies are one thing that I almost always can bake without fail. Cakes might not come out of the pan correctly and cheesecakes might not bake completely in the center, but cookies I can pretty much handle. Maybe that is why I tend to bake those more than anything else. One thing I'd like to focus on here this year is sharing different cookie recipes with you.....a Cookie of the Month I suppose. There are so many different types of cookies and tips for success at preparing each one. 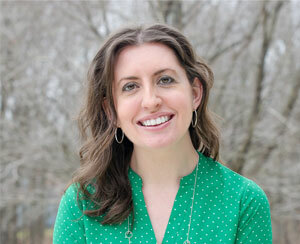 And as a person who is always ready to learn something new, I enjoy uncovering new ways to do something better. 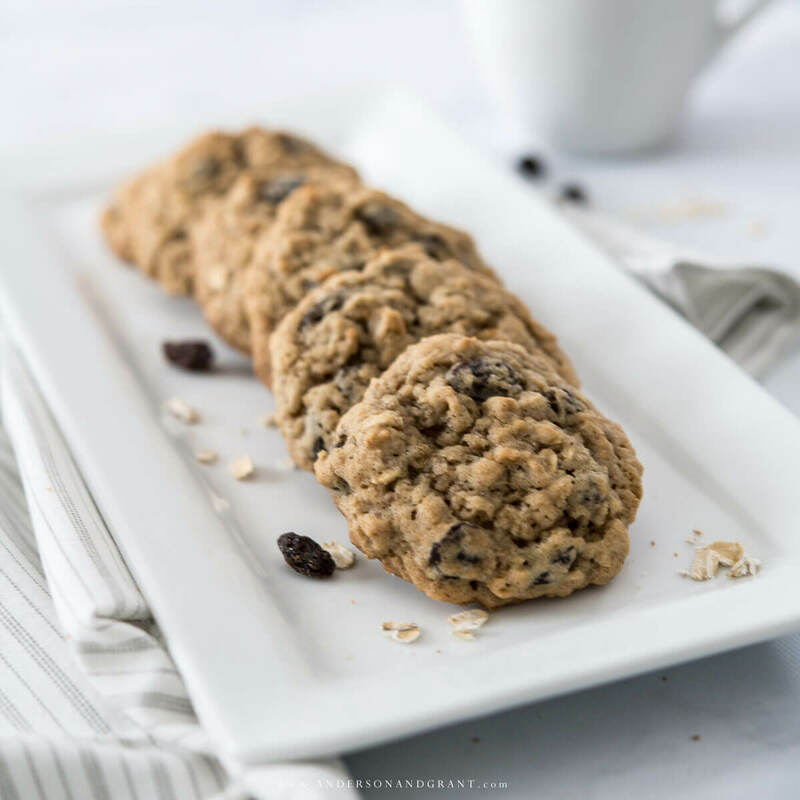 This month, I decided to focus on one of the most basic types of cookies - the drop cookie - and to do that, I chose my grandma's recipe for Raisin Oatmeal. Drop cookies are those that are made when the raw dough is literally dropped from a spoon or ice cream scoop because the dough is too moist and sticky to roll out. Because of this, they normally end up chewier than a rolled cookie. 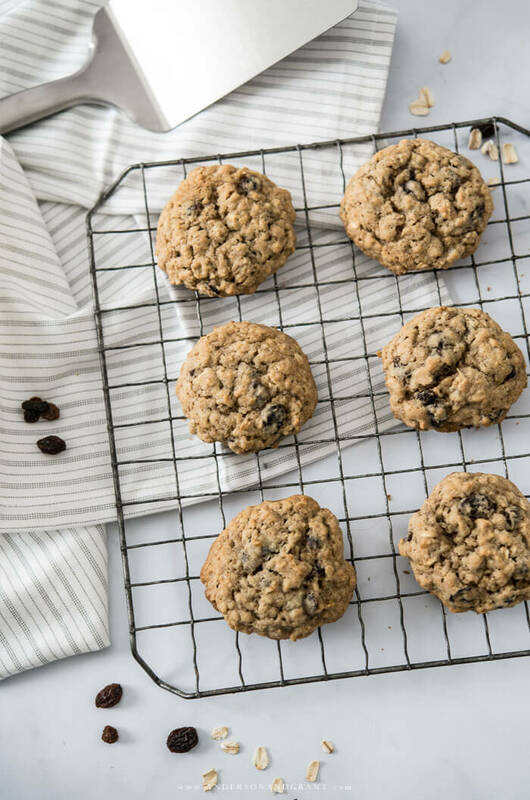 Drop cookies are normally filled with chocolate chips, small candies, or some type of dried fruit like raisins. 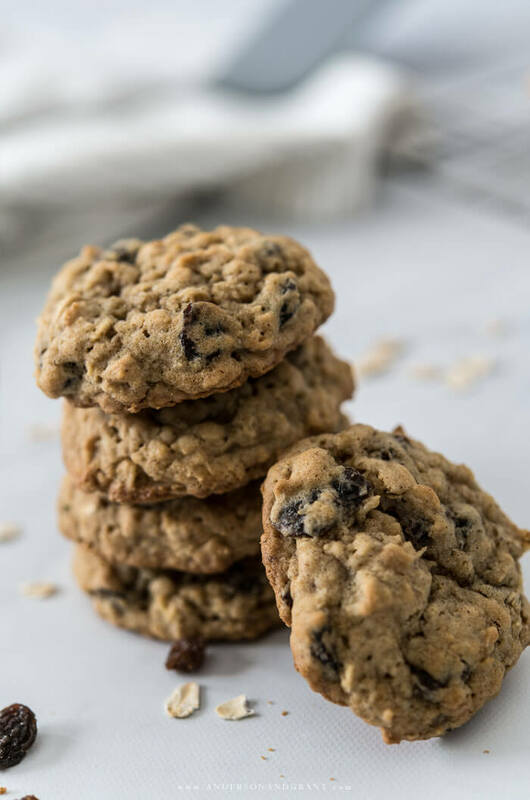 Some common types of drop cookies are oatmeal raisin, peanut butter, pumpkin, and my favorite, chocolate chip. When making drop cookies, it is easiest to use an electric mixer for combining the sugars, liquids, butter and shortening in the recipe. This introduces air into the dough leading to a lighter cookie. You can also mix by hand although this is more difficult with a thick dough. Either way, you want to mix just until the ingredients are combined, as over-mixing results in a tough cookie. My preferred method of creating drop cookies is using a spring-loaded ice cream scoop for the dough. I think it is easier and results in similar sized cookies which helps them to bake evenly. Space the dough about two inches apart on your cookie sheet to allow them room to spread as they bake without running into one another. If raisins are being added to your drop cookies, it is best to pour hot water over the raisins and allow them to sit for about 10 minutes prior to making your recipe to allow them to plump up. They will be softer and easier to chew once baked. Be sure that they are drained and completely dried before mixing them into your dough. Pull the cookies out of the oven when they are just starting to get golden brown and are brown on the bottom. They may be a little fragile, in which case they can cool on the pan for a minute before removing them to a cooling rack. The cookies will continue to finish cooking as they cool. 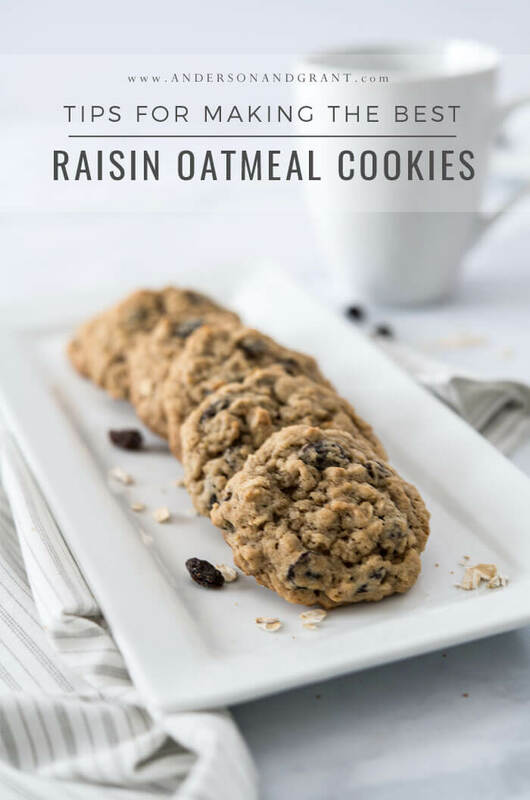 Now that we've got those basic tips out of the way, let's move on to making our Raisin Oatmeal Cookies, shall we? Cover raisins with boiling water and allow to soak for about 10 minutes to plump them for baking. Drain the raisins and then pat them dry. In the bowl of an electric mixer, cream the shortening and the sugar. In a separate bowl, beat the eggs. Then stir in the milk, oatmeal, and raisins. Add to the creamed shortening and mix well. In another bowl, mix the flour, baking soda, salt, and cinnamon with a wire whisk to combine. Add the flour mixture to the mixing bowl and beat thoroughly until combined completely. Scoop dough out using a cookie scoop or tablespoon. Bake the cookies for 10 to 12 minutes until golden. The cookies will be soft as you take them out of the oven, but they will firm up as they sit. Remove them from the pan to a wire cooling rack.